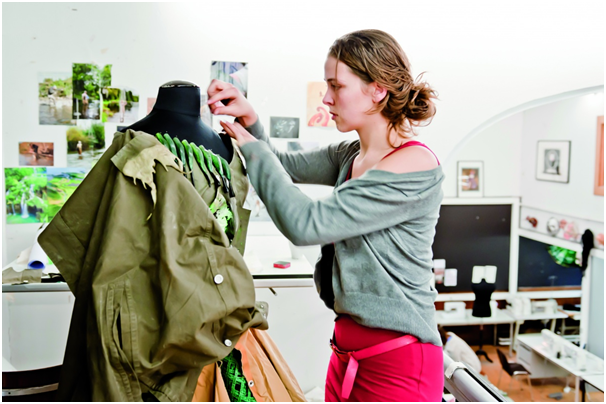 Home » Reviews » What Does a Costume Designer Do? Do you adore watching period dramas or marvel at sci-fi movies? Do you find yourself looking more at the actor’s clothes? Every single garment seen on TV has come through the ‘wardrobe department’ and for those shows that require specialist costumes – this is where the costume designers come in! Costume designers are responsible for designing, making or hiring all costumes for actors and extras on set. They must also guarantee a high level of continuity throughout the production. Imagine all that Dressmaking Fabric for an historic period drama. Good knowledge of textiles. Knowing the best places to go for quality fabric is a must. For dress making fabric, visit a website like Quality Fabrics. What exactly does a Costume Designer do? The designers help to create the ‘look’ of a TV or film production. Working in the business takes a lot of expertise, especially to reach senior levels and work on top budget programmes and movies. They must work within strict budget and schedule guidelines. The designers must also liaise closely with production staff, cameras and lighting. There is also close work with hair and make-up departments to create that perfect look. Before filming begins, Costume Designers read the script and analyse scene by scene how many characters there are and what costumes they require. A costume plot is planned, which means no character will wear the same colour or style in the same scene together and colours and intensity are decided to match the character’s personality. Within the timeframe for filming, designers must research the time period, fashions of that time and types of construction and fabric needed. They may also liaise with the performers themselves to gain more character ideas. Their ideas must then be delivered to the director and will include sketches, fabric samples and character plots. Colours also need to be discussed with those responsible for photography and lighting. Other job responsibilities also include keeping financial records for weekly expenditure reporting. They are also in contact with suppliers for the hiring of certain equipment and accessories needed for the shoot. Fittings with the performers need to be scheduled prior to filming for both actors and extras, of which there can be hundreds! The research and purchase of fabric is another aspect of their day-to-day responsibilities. They also need to be present on set the first time any costume or outfit is worn, to ensure that performers are comfortable, to instruct about any special features and to get straight to work on any adjustments required. Previous post: Would You Spend $1.5million on the World’s Most Luxurious Campervan?